Spice has launched the XLife 511 Pro smartphone, listing it on its site with a price tag of Rs. 5,799. So far, there is no announcement from Spice about the handset. The official listing confirms that the smartphone will come bundled with a free selfie stick alongside a free flip cover. The Spice XLife 511 Pro supports dual-SIM (3G+2G) cards and runs Android 4.4.2 KitKat out-of-the-box. It comes with a 5-inch display and is powered by a 1.2GHz quad-core processor coupled with 1GB of RAM. It comes with 8GB of inbuilt storage, which is further expandable via microSD card (up to 32GB). The XLife 511 Pro sports an 8-megapixel rear camera with LED flash, while there is a secondary 3.2-megapixel front-facing camera also on board. On the connectivity front, the handset offers 3G, GPRS/ EDGE, Wi-Fi 802.11 b/g/n, Micro-USB, and Bluetooth options. The smartphone packs a 1750mAh battery. It measures 145.5×73.7.8×9.4mm and is listed in Dark Blue, Black and Golden, as well as Blue and Silver colour variants. 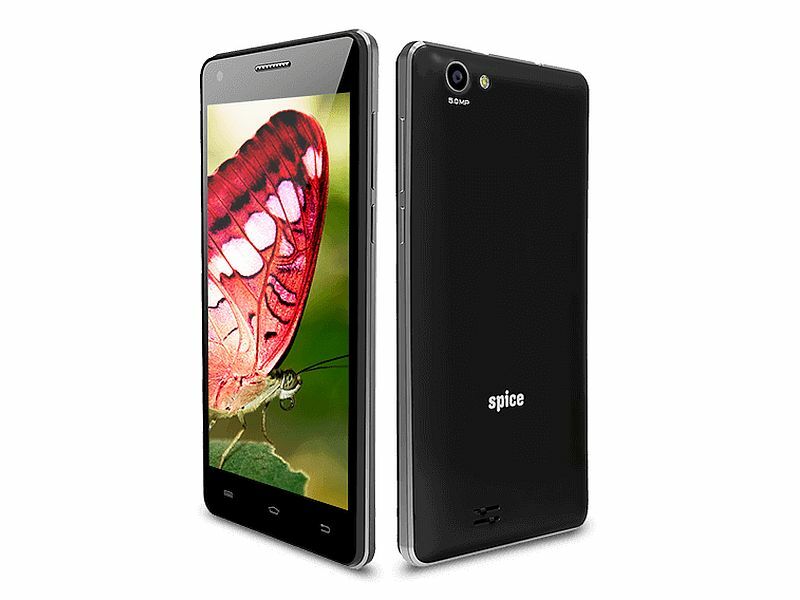 Last month, Spice launched two new XLife-series smartphones, the XLife 403E and XLife 480Q, priced at Rs. 2,679 and Rs. 5,399 respectively. Both the budget Spice XLife smartphones were listed initially on the company’s site. For specifications, the XLife 403E features a 4-inch display; dual-SIM (2G+3G); 1GHz single-core processor; 256MB of RAM; 256MB ROM; expandable storage via microSD card (up to 16GB); 2-megapixel rear camera; 1.3-megapixel front-facing camera; Android 4.4 KitKat, and 1400mAh battery. The Spice XLife 480Q, on the other hand, features a 4.5-inch FWVGA (480×854 pixels) display; dual-SIM (GSM+GSM) functionality; a 1.2GHz quad-core processor; 1GB of RAM; 8GB inbuilt storage; expandable storage via microSD card (up to 32GB); a 5-megapixel rear camera LED flash; a 1.3-megapixel front camera, and a 1750mAh battery.